Well the Christmas chaos is over for another year. But the buying of gifts is never over is it? With Valentines day and Mothers day coming up, and not to mention all the family and friends birthdays, there's always an occasion to buy for! If your looking for new ideas to treat your loved ones then take a look at GiftsOnline4U.com. They have a fantastic selection of unique gift ideas for every occasion. Their easy to navigate website enables you to shop by price, occasion, for people or simply by type of gift. You can also skip straight to personalised or engraved gifts if that's what you have in mind. Each item has a clear detailed photo and description to ensure you can see exactly what you are buying. It also says how long it will take for the item to be dispatched when bought so you know how far in advance to order your gift. I love to make an effort with personalised gifts for friends and family. I'm a big fan of the Personalised Alcohol Gifts With Pewter Plaque the site. I'm already eyeing up a few products for fathers day and I hear they have some special labels coming in anytime now ready for Valentines day. Each of the pewter labelled gifts can be personalised with your own short message making them the perfect gift for anyone. After having a good look through the site for everyone else, I decided to see what I'd love for myself. This is when I came across the gorgeous Finger print jewellery section. 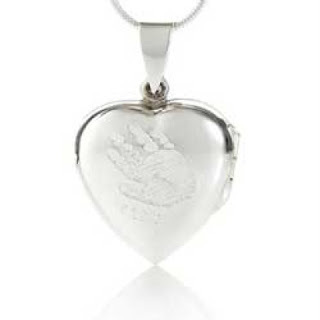 What especially caught my eye was the personalised silver finger print heart locket. It would make the perfect mothers day gift. 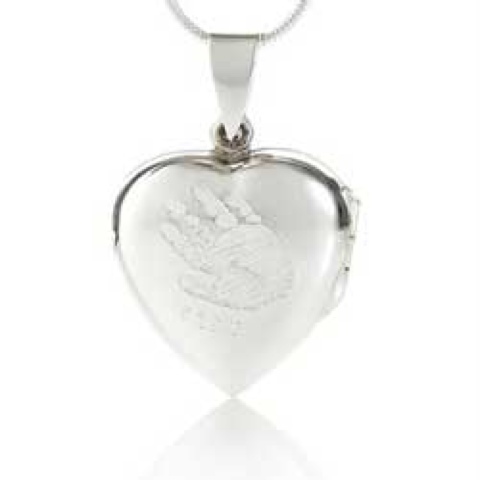 The best thing about many of these jewellery items is if you have two children you can buy an additional impression kit to have both of their hand/foot/finger prints on the one item. Why don't you take a look for yourself? What is your favourite GiftsOnline4U item? DISCLAIMER: In return for reviewing the site GiftsOnline4U have agreed to send us a little gift and more review opportunities to come so watch this space.